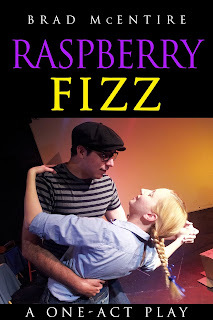 I published another one of my plays on Amazon Kindle. DINOSAUR AND ROBOT STOP A TRAIN is an absurdist one-act play I wrote back in 2013. It is about a dinosaur from the past and a robot from the future who discuss with the gathered audience their involvement with a certain incident. They were sucked through time and space just in time to, supposedly, save a rather stupid little girl from a speeding train. I am hoping to get a few more of my works out into the world (they don't do me any good sitting in a drawer in my office). Expect one more of my one-acts in the coming months. If you know a theatre company looking for exciting new work, direct them towards my play. 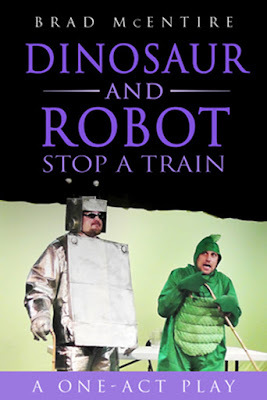 And grab a copy of DINOSAUR AND ROBOT STOP A TRAIN for yourself... HERE. Intro to Improv at S.T.A.G.E. Solo Improv Workshop at A.C.T.